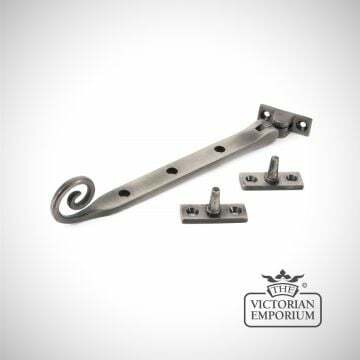 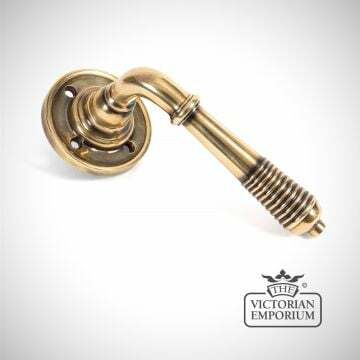 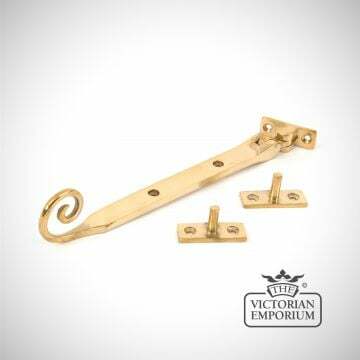 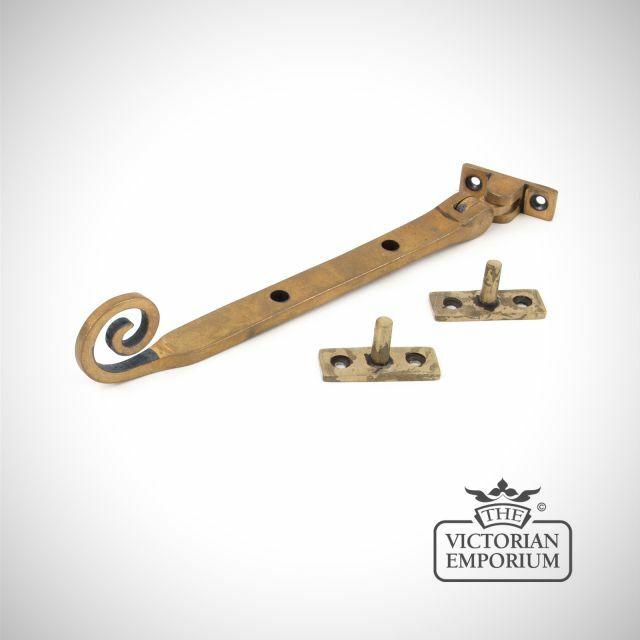 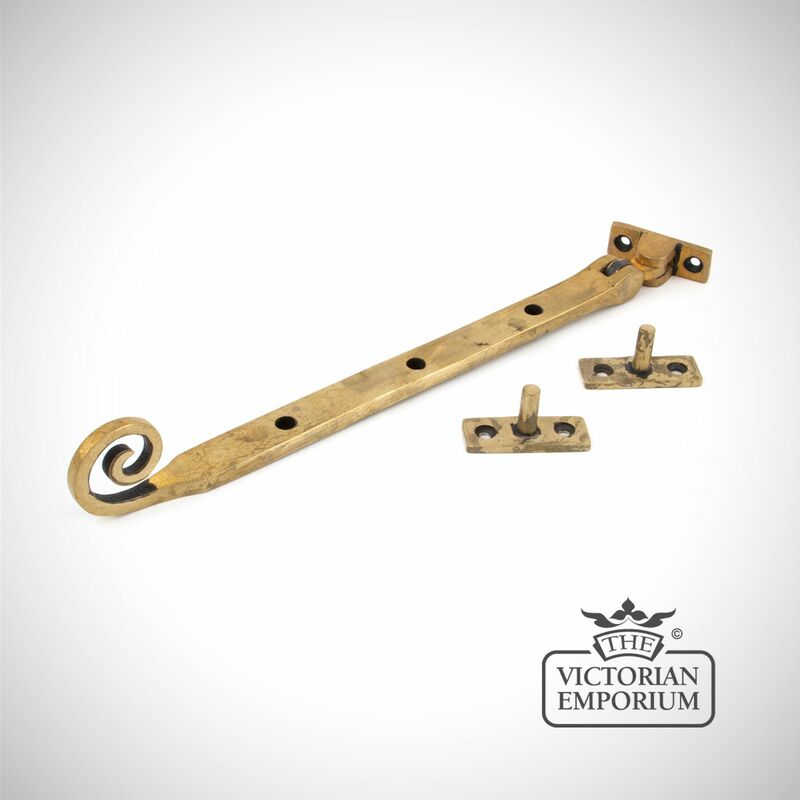 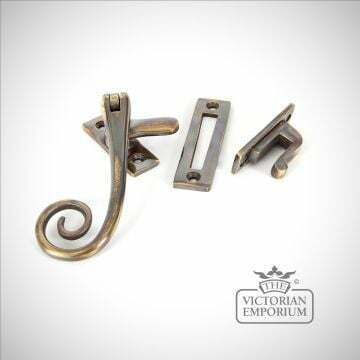 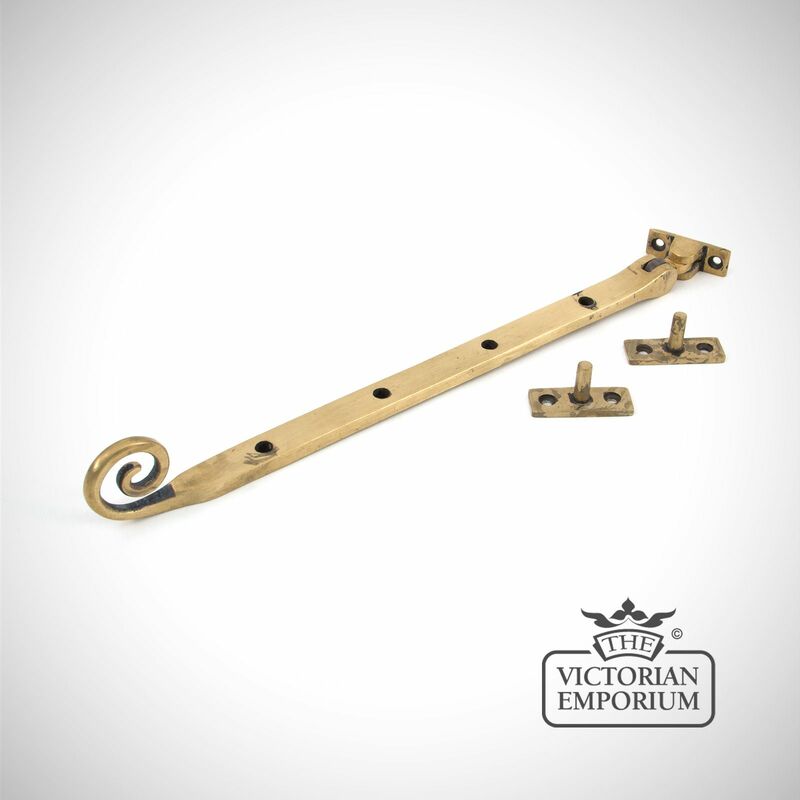 Skip to content - Aged Brass Monkeytail Stay in a choice of 3 sizes - 8", 10", 12"
Monkeytail stay in aged solid brass in a choice of sizes - 8", 10", 12"
This product is made from high quality solid brass with a monkeytail stay that complements the fastener and can be retro fitted on any window. 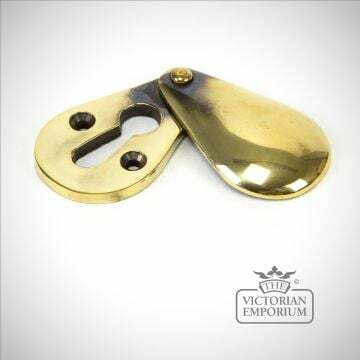 This stay has two positions for ventilation. 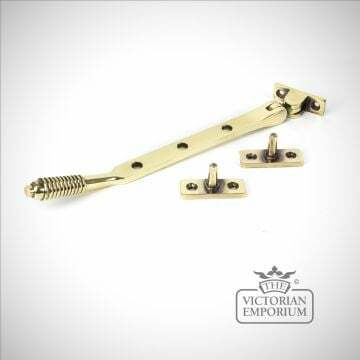 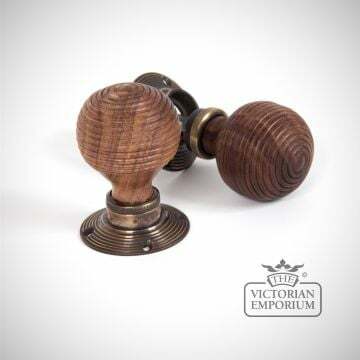 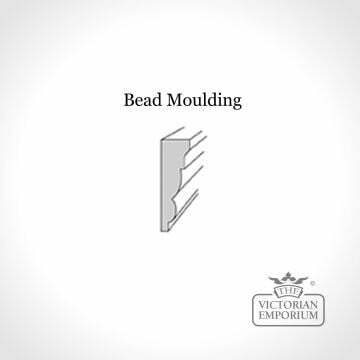 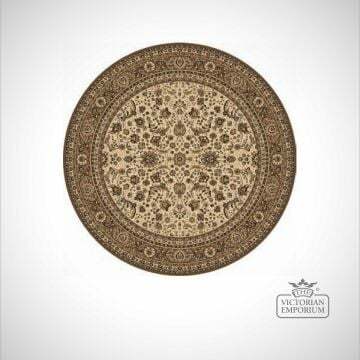 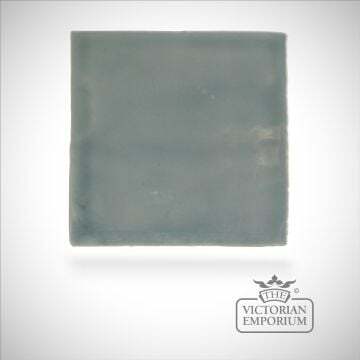 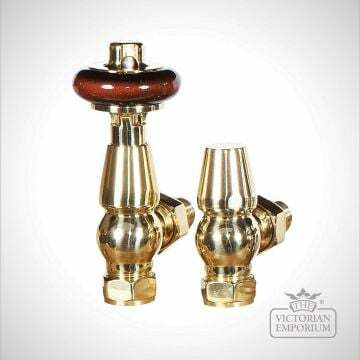 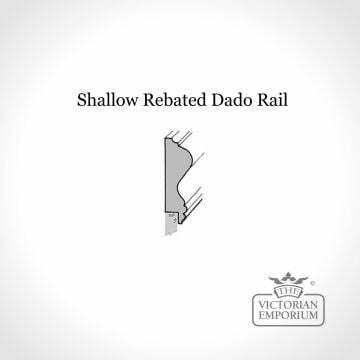 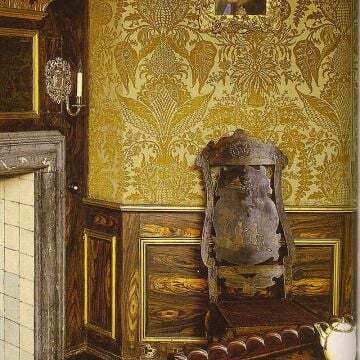 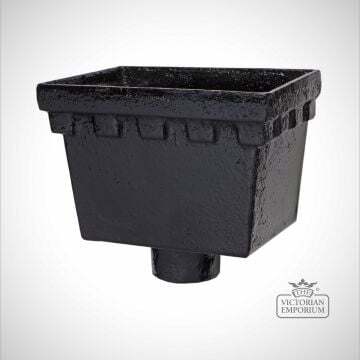 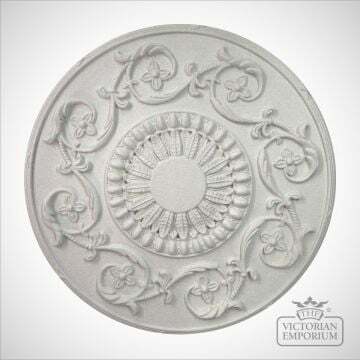 It is supplied with two pins and all traditional brass screws.